This is a world-class facility for studying the effects of environmental electromagnetic exposure on aircraft. The importance of doing so is because the various sources of electromagnetic radiation, both human generated and naturally occurring, can be strong enough to disrupt the functioning of aircraft electronic systems. 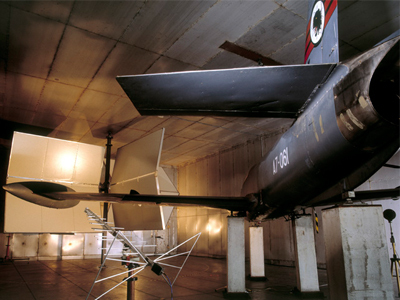 The capability comprises a multi-function test chamber, a mobile trials team and computational electromagnetics expertise. The knowledge, knowhow and infrastructure together facilitate investigations that assist the Australian Defence Force (ADF) with its work to acquire and maintain key defence assets.